Forget Gift Cards: Customized Thank You Gift Ideas for Teachers! Without a doubt, teachers can make a big impact in our lives. When we’re young, early childhood education teachers introduce us to the world around us, teaching us everything from how to sing the ABCs and how to hold a crayon, to how to play nicely with others on the playground. In grade school, teachers help us grasp new mathematical concepts and push us to read new books about history, science, and art. Teachers help us make connections and take on new challenges while letting us be kids. Secondary school teachers get even more involved, working with us through the stress of college applications, growth and development, and even coaching sports and other extracurriculars. Teachers help us become who we are, encouraging us to take care of ourselves and each other. For many, memories of a great teacher will stay with us throughout our lives. So, why not take the opportunity to show our appreciation whenever we can? Gone are the days of handing your teacher a shiny red apple as a present. Of course, you don’t need to spend a fortune either. Simple gifts like handwritten notes, drawings, or even a big hug can make a teacher’s day. These simple gestures are much appreciated in their own right and will show the teacher you care. If you do want to spend a little money, then flowers, candy bars, and gift cards will definitely make a teacher smile. 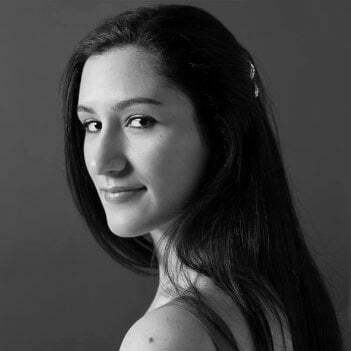 Still, the best and most memorable gifts are often more personal; the kind of gifts that show your attention to detail and reflect your teacher’s individual personality. Stumped for ideas? Do your teachers have any sort of knickknack collection? Do they have favorite animals or favorite colors that you have noticed? Have they talked before about sports they love, or their favorite tea or hot cocoa? Or maybe you’ve noticed that your teacher is always losing her pen, or that he needs a new coffee mug. If your teacher made a personal connection with you or your child, why not give back in a more meaningful way? Whether you are a current student or a parent with a child in school, know that there are many ways to show your appreciation to the special teachers in your life. 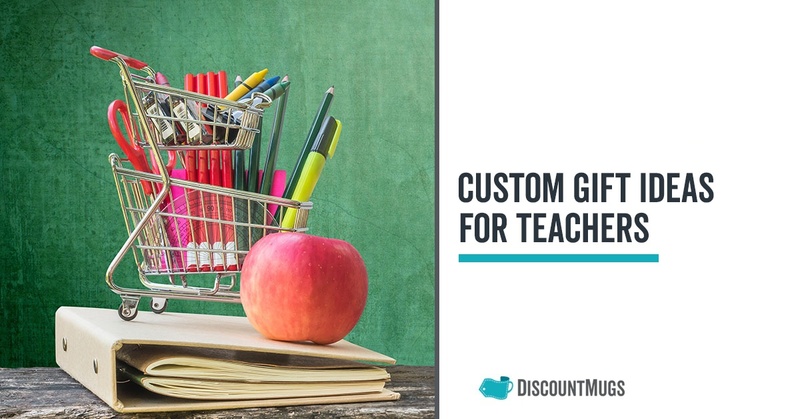 When you need something a little more personal than just a gift card, check out our customized gift ideas to make your teacher feel loved. It’s not uncommon to see a teacher with a mug of something toasty and warm on her desk at some point during the day. Many teachers start the morning with a strong cup of coffee while others like to calm down after recess with a mug of hot tea. Mugs are perfect gifts for great teachers, and with so many customizable options, you can choose the one that speaks to you. Personalized traditional ceramic mugs are a classic choice, and great companions for gifts of whole-bean coffee or boxes of tea. Likewise, mugs with spoons make adorable gifts—especially if you stuff them with hot cocoa packets and mini marshmallows, or sachets of loose leaf tea with a tea infuser. Travel mugs are ideal for the teacher who is always rushing around, or the one who loves to bring their own latté from home. Travel tumblers with lids and colorful rubber grips are fun reusable versions of paper to-go cups. Or, select from travel mug gift sets like this custom travel set with carrying case. For an extra personal gift, consider customizing your mug with your teacher’s name, your photo, or even your own art. 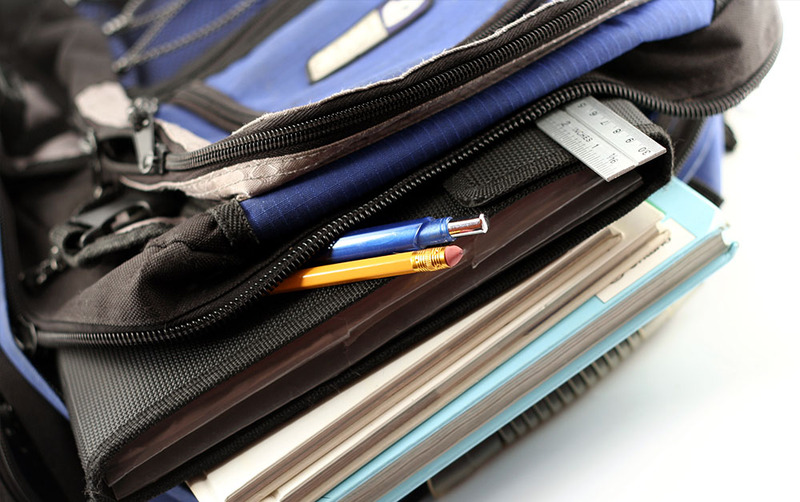 From homework and handouts to crafts and books, teachers often have to carry quite a load between home and school. Personalized tote bags are a great option with lots of utility and many ways to make them stand out from the rest. For those teachers and administrators who love brightly colored handbags, try colorful nonwoven tote bags in your school colors, customized with your school logo. For a more professional look, go for two-tone jute tote bags with strong handles and zipper closures to keep papers and books contained. Large tote bags with multiple pockets are perfect for teachers who juggle teaching, tutoring, and after-school activities. 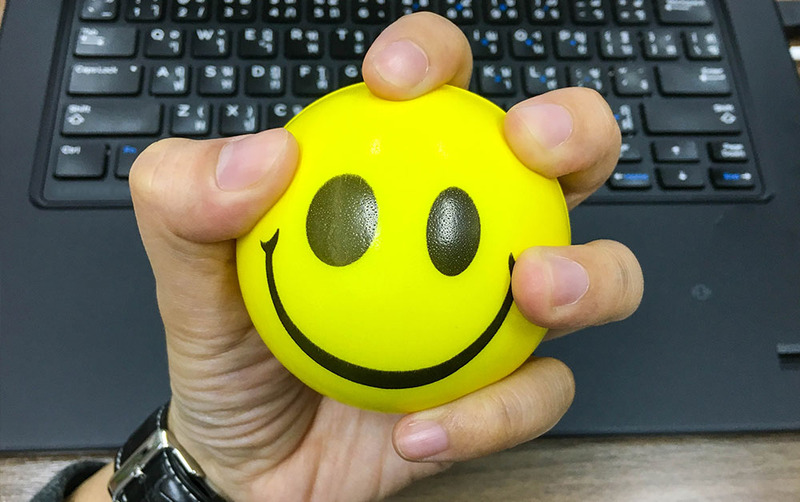 Your teachers will probably never talk about their stress level, but you can imagine that there are days when they’d appreciate having a stress ball nearby. Find out if your teachers have any favorite animals, and get them stress balls shaped like their favorite furry, feathered, or finned creatures. For gym teachers, coaches, and teachers who just love sports, surprise them with sports-themed stress balls in golf ball, football, and basketball shapes. There are even sporty squeezie-top pens and keychains that can add a dose of fun to a teacher’s day-to-day. Notepads and adhesive notepads are must have for a teacher’s desk. Whenever they jot down a reminder or need to write a hall pass, the’ll appreciate the thoughtfulness that goes into personalized notepads and cubes. Early childhood education teachers would love die-cut notepads in fun shapes like apples and planets. 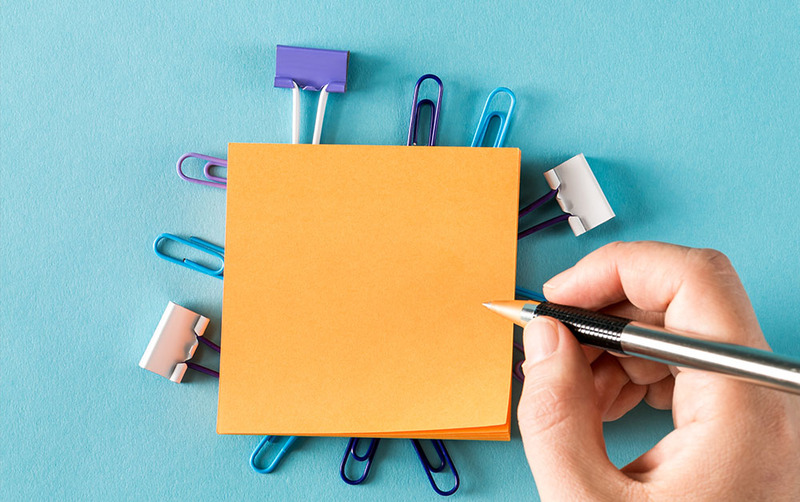 Adhesive notepads with lined pages are always in high-demand, and customizing them with your school’s name at the top adds an extra level of personalization. Your teachers spends a lot of time making sure students feels special while achieving their educational goals. Why not give back with the same level of thoughtfulness? Whether it’s a heartfelt note or monogrammed tote, now is the time to do it. You (or your children) are still in school, so make sure you take the time to honor them and thank them for the hard work they do. Simply tell them, and be specific. Share your favorite memory of them with the classroom, and invite your classmates to do the same. Maybe your teacher will feel insipred and join in, too! These ideas, and your sincere appreciation, will be greatly welcomed by your teachers. And if it's been some time since you left the classroom, they might find a way to repay the favor. Do we hear coffee after school hours? Go ahead, reminisce.